All The Pictures & Videos From Virat & Anushka's Grand Reception Last Night! Virat Kohli and Anushka Sharma's Delhi Reception was one hell of an event. 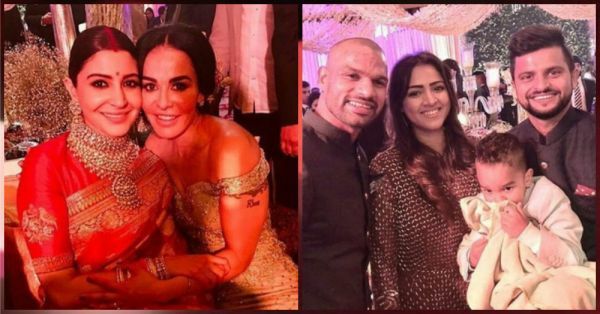 From PM Modi to cricketers, everyone came to bless the lovely couple. Virat's favourite singer Gurdaas Maan was the star performer of the evening and he made sure that everyone had a blast. 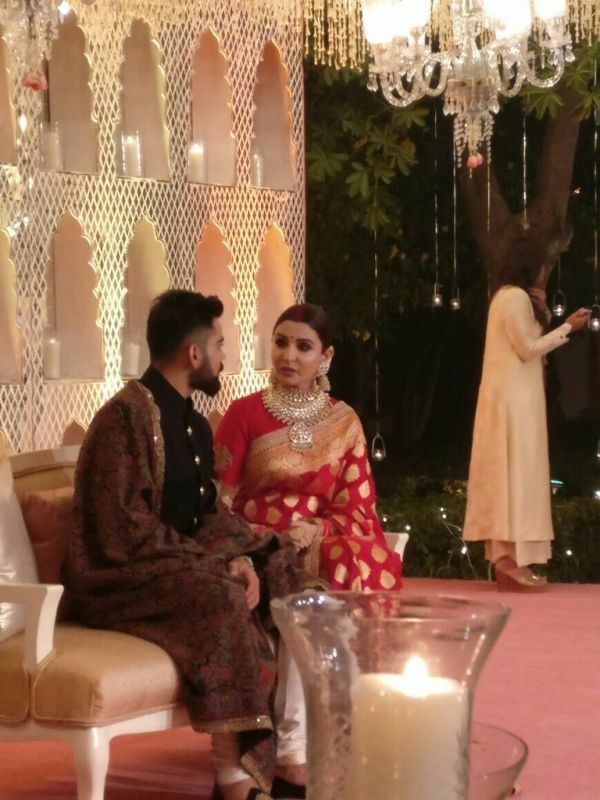 We just can't get enough of the pictures from last evening and if you too are still drooling over this couple, here are all the pictures and videos from the big fat Virushka wedding... Take a look! The newlyweds posing before entering the venue! They looked absolutely stunning in Sabyasachi! They happily posed with their families! 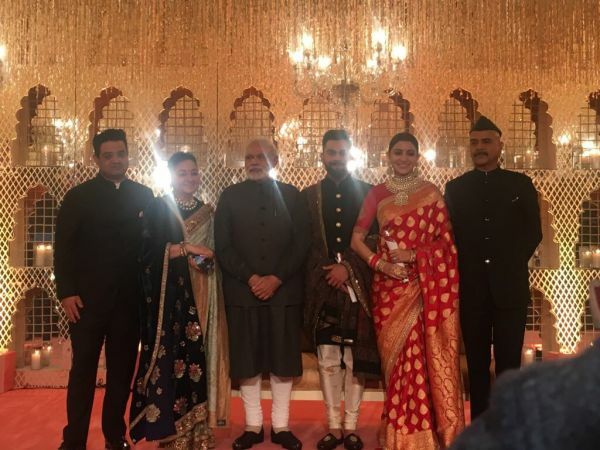 Even PM Modi came to bless the newlyweds! He bought roses for them! Cricketers Suresh Raina and Shikhar Dhawan were also present! Gurdaas Mann was the star performer of the night! 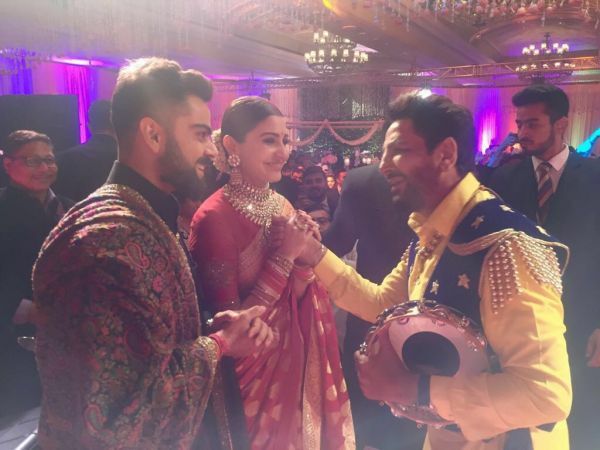 Virat couldn't stop himself from shaking a leg when Gurdaas Maan performed! Have you seen the dancing bride? You totally can't miss the couple dancing together! You should totally watch Anushka dancing on 'Mauja Hi Mauja'! The duo is now headed to Mumbai to prepare for their next reception.